How To Have Young Looking Skin In Your Eye Area. The skin around our eyes is delicate and has a few specific issues that are only found in that area of our face such as dark circles, puffiness, and fine lines. If you suffer from one or more of these eye area problems you know how frustrating it can be. Keep reading to find out how to address these eye area troubles in order to have tight, young looking skin in your eye area. There are a few reasons that you can dark under eye circles. For some people this problem is genetic - a trait they inherited from their parents. For these people the skin under their eyes is simply darker than anywhere else on their face. For other people as they age the skin under the eyes begins to thin out as collagen is depleted and the veins in that area become more visible, creating a purplish tint under the eyes. Another reason for dark under eye circles can be that blood begins to leak and pool from the capillaries under the eyes and creates darkness in that area. Two other reasons for dark under eyes are deep set bone structure that creates a shadow and lack of sleep. In order to treat this issue you need to figure out what is causing your dark under eye circles. If they are caused by lack of sleep than the solution is quite clear - get more sleep. If the cause is genetics this can be harder to treat. In that case, you can use an eye cream or make-up that includes light reflecting pigments or ingredients that brighten like Vitamin C.
Try Citrix Vitamin C Antioxidant Eye Cream. If the issue is caused by thinner skin under the eyes look for eye creams that contains ingredients that build collagen and constrict blood vessels like Vitamin K and retinol in Bioelements Multi-task Eye Creme or New York Laboratories Dark Circle Eye Cream. Just like with dark under eye circles there are a few different causes for under eye puffiness. You could be retaining fluid in that area because you ate foods with a high salt content or drank a lot of alcohol. 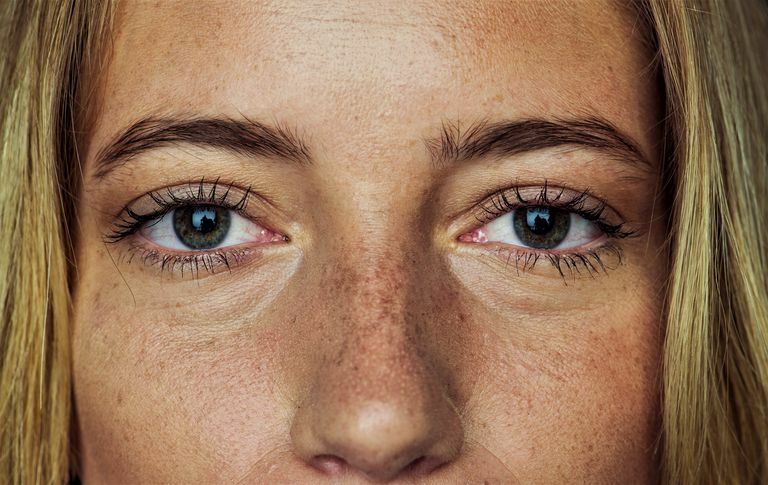 Lack of sleep can also lead to under eye puffiness, and for some people, like with dark under eye circles, genetics are to blame for the puffiness. The last cause of under eye puffiness can be fat that accumulates in that area. If this is the cause of your under eye puffiness you will need surgery to treat it. As long as under eye puffiness is not caused by fat in that area you have a few different treatment options available. Obviously if the issue comes from eating foods high in sodium or drinking alcohol cut down on both those things. If you do have an evening when you indulge a bit too much sleep with your head slightly elevated so that fluid does not get stuck under the eyes and causes puffiness. If you see that your under eye area is puffy after you wake-up you can very gently massage that area - from the inner corner of the eye outward and down - to help move any stuck fluid. Cold also works to bring down puffiness. You could press cold spoons under your eyes, tea bags that have been soaked and chilled, or even cucumber slices that are ice cold. Use an eye cream with a roller ball on the end and caffeine as one of its ingredients in order to depuff. Try Garnier SkinActive Clearly Brighter Anti-Puff Eye Roller. Our eye area is one of the first places where we see fine lines and wrinkles on our faces. This is partly because that area of our face constantly moves when we smile, grimace, or squint. In order to stop yourself from squinting be sure to wear sunglasses when outdoors. Also keep the area well moisturized so that fine lines and wrinkles are much less obvious. Be sure to gently exfoliate around the eyes so that the skin there does not look dull or rough. Look for an eye cream that has retinol or peptides in it in order to rebuild lost collagen in that area of your face and reduce the appearance of fine lines and wrinkles. Try Roc Retinol Correxion Eye Cream Treatment or La Roche-Posay Redermic R Eyes Anti-Aging Retinol Eye Cream.